The first 2 Cedar Fair parks out of the gate with their announcements today, Knott’s Berry Farm and Canada’s Wonderland have both announced “Windseeker”. The two $5 million rides are pretty much exactly the same, both 301 feet tall, spinning its 32, 2-seat swing arms at 8 rotations per minute. They even share the same blue/gray/yellow pain scheme. 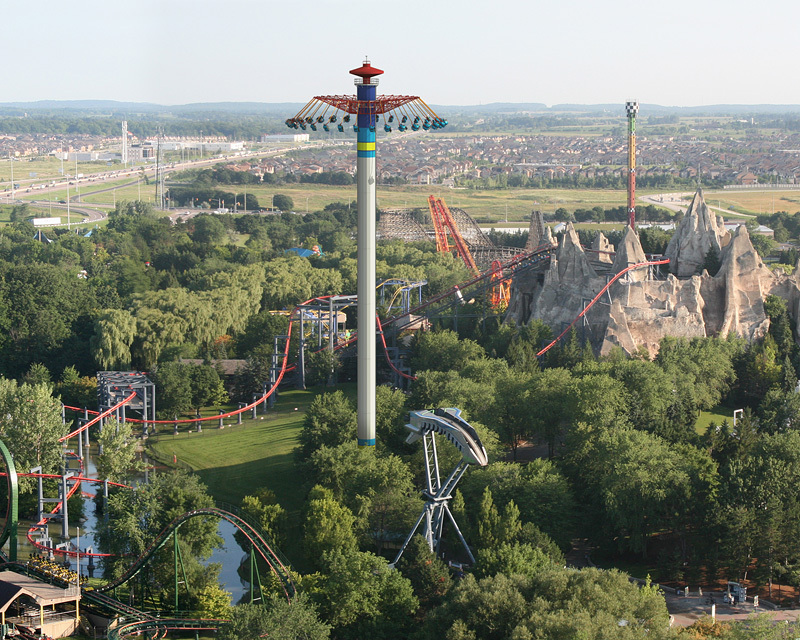 Windseeker will be the 68th ride at Canada’s Wonderland, it will be located next to the Vortex roller coaster near the park’s entrance. 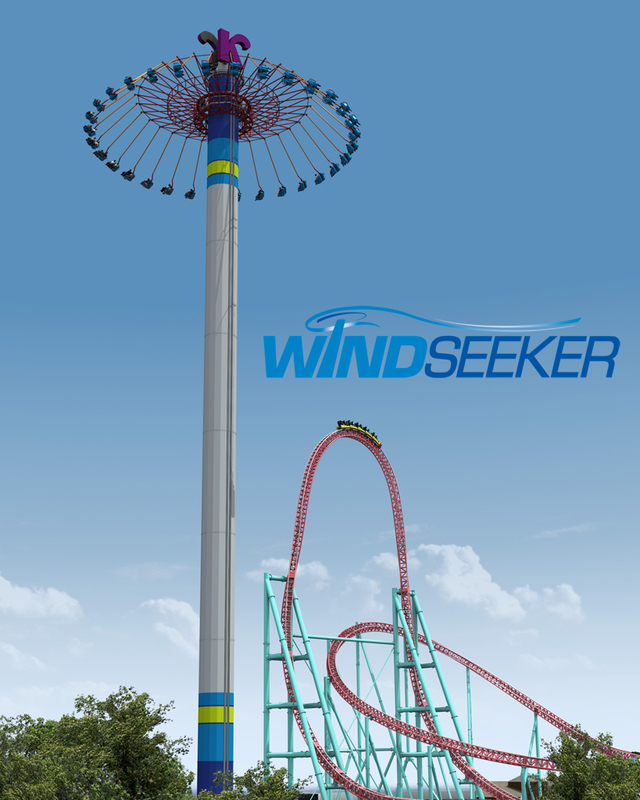 At Knott’s Berry Farm, Windseeker will be located next to Xcellerator in the Boardwalk area of the park, it will be replacing their Sky Cabin ride which originally opened in 1976. Another note, this Windseeker will also sport the Knott’s “K” at its top, similar to the current Sky Cabin ride. So what do you think about the two Windseeker additions? Leave your comments and Park Thoughts below!